Lada Câini de Politie is the daughter of Carly Policia Slavakia and Inka z Jirkova Dovra which means that she’s equipped with a rock solid nerve base that comfortably absorbs her sharpness and optimum drives that she exhibits when at work. She inherited her sire’s temperament as far as being possessive about her territory, her willingness to fight without her handler’s presence and hardness as she refuses to give up when fighting the decoy. 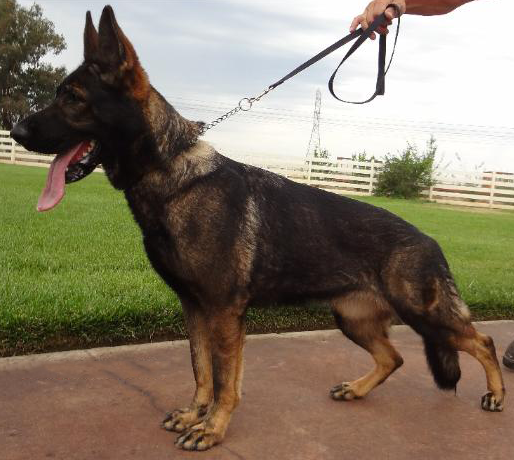 Lada is Logo’s littermate and like him she’s built tall, evenly structured (a factor that enhances her superb conformation), her dark sable pigmentation is rich and lastly she has a strong head and bones. 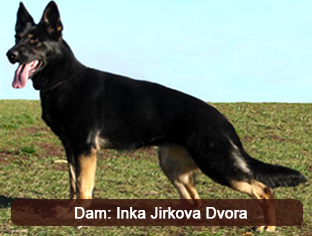 Lada's pedigree is loaded with two of the best DDR lines that are carried from world renowned DDR dogs such as Ingo vom Rudingen on his sire’s side that is strengthened by the world working champion; Orry von Haus Antverpa and Lord vom Gleisdreieck on his dam’s side. 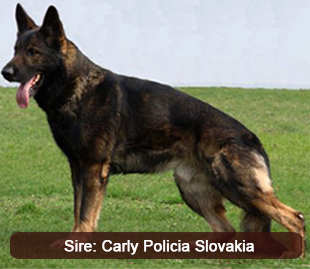 Dogs such as Faro Policia, to mention one of many that were used consistently at the “z Pohranicni Straze” breeding program, have formed and provided the needed nerve base without losing the willingness to work for the handler. 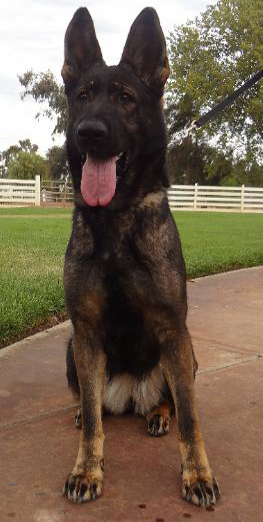 We’re extremely happy to have Lada in our breeding program and guarantee versatile pups from her that will fare out well in whatever field that they’ll be designated to.